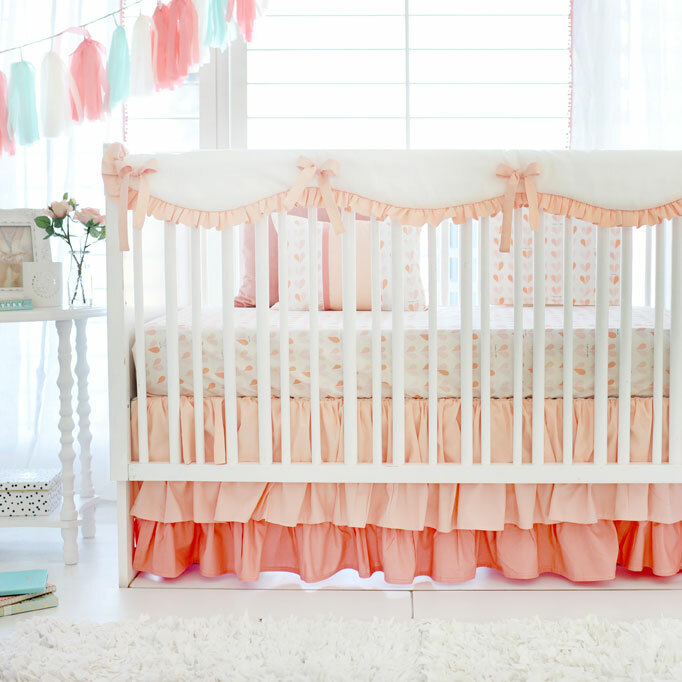 Pastel Baby Bedding & Nursery Inspiration: A Pastel Nursery is Soft & Sweet! There are so many style and color options for nurseries, but nothing is as beautiful as a nursery full of pastel colors. 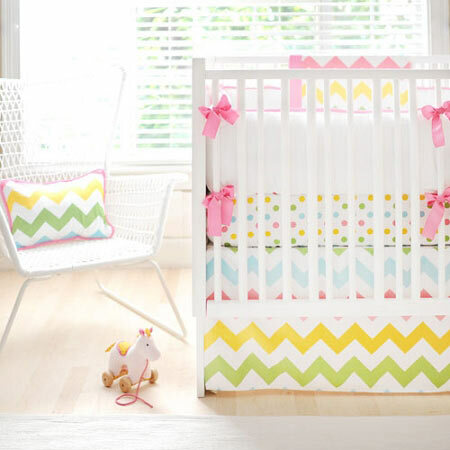 We picked some of our favorite pastel nurseries and pastel baby bedding collections to share with you. Pink, powder blue, aqua, mint green, yellow, gray and lavender colors all make for a beautiful nursery. Soft gray can work in a baby girl or boy nursery, add sophistication, and also modernize the room. 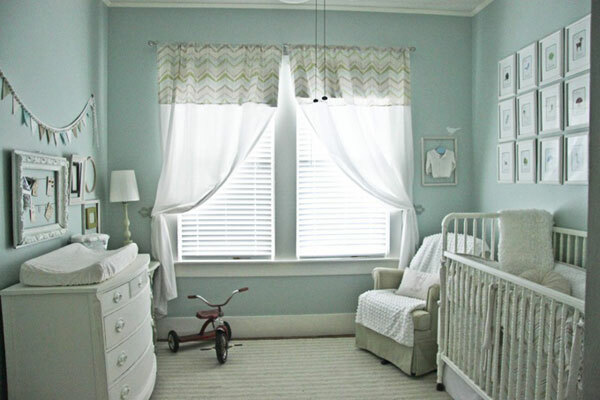 For a unisex nursery, pastel colors can make excellent neutrals, especially mint, gray and aqua. 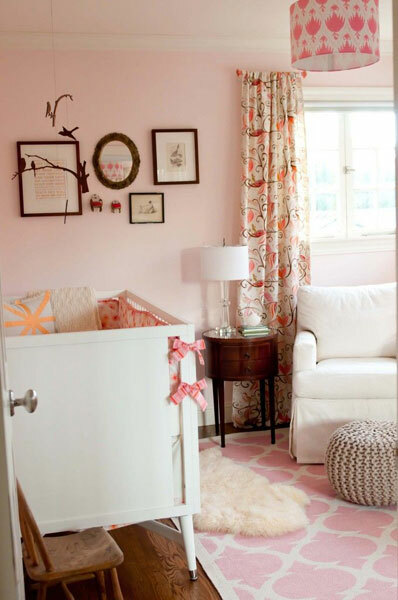 This nursery is so pretty with soft pink walls, and a coordinating pink slip covered chair. Painting walls a light shade can actually make the room seem larger. The white Jenny Lind Crib looks adorable and vintage. Soft gray polka dot sheet is simple and sweet. The bamboo window shade gives the room contrast and texture. Accentuate soft colored walls with darker accent pieces. Dark framed photos or art on the wall and cherry colored nightstand pop and add an unexpected element to this pink room. Mix a variety of pastel colors in to your room with accents such as curtains, lighting, art, furniture and rugs. This wall gallery of whimsical letters is colorful, creative and fun. This muted room is lovely with a very soft palette of pink and white. Simple yet elegant. 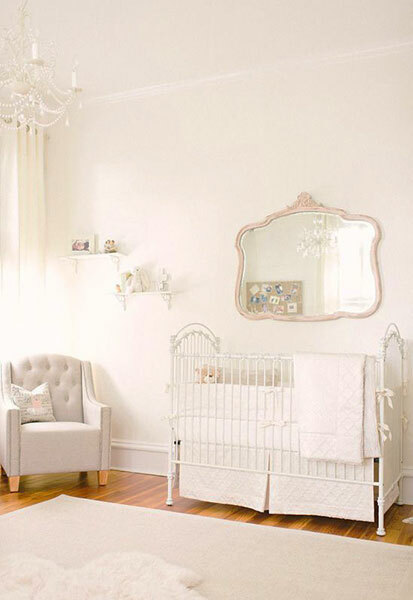 The iron crib, white bedding, tufted chair, vintage mirror and chandelier add chic sophistication. Aqua is a perfect color for a unisex nursery. Not too feminine, but oh so sweet! Pastel colored walls make a perfect backdrop for white furniture such as a crib, dresser or armoire. Brighten up your pastel room with accents. Gold is a wonderful color to coordinating color to pair with pastels. nicely with aqua in this nursery. 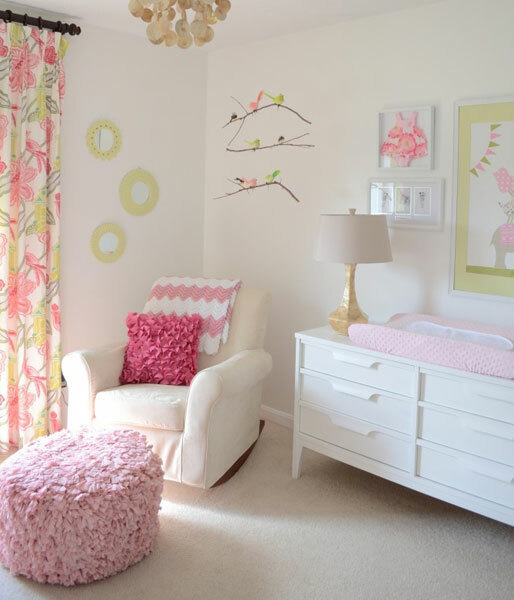 Pink will always be a classic pastel color, and is sweet for a baby girl's nursery. Remember, no other room in the house is likely to be changed as often as your child's room. But for a girl, pastels will easily transition into an adorable big girl's room. For more pastel nursery inspiration, make sure to check out our Pastel Baby Bedding & Nursery Inspiration Pinterest Board!